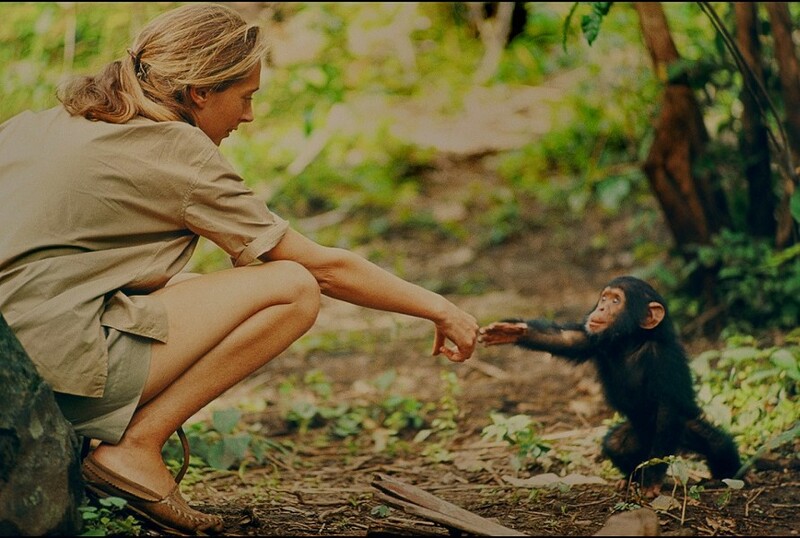 Recounting the life of renowned field researcher and primatologist Jane Goodall, the absorbing new documentary, "Jane," is built from more than 100 hours of recently rediscovered 16-millimeter footage shot in the 1960's by National Geographic photographer (and Jane's eventual husband) Hugo van Lawick. Despite having no training or scientific degree, Goodall headed off to Gombe at the age of 26 to live with and observe the chimpanzees. We see firsthand the long, arduous process Goodall undertook to gain the animals' trust, allowing her to collect reams of groundbreaking data on the animals' behavior. Voiceover from a present-day interview with Goodall allows her to offer some perspective on her work, and it's an endlessly fascinating story. Director Brett Morgen ("The Kid Stays in the Picture") for the most part is content to let the gorgeous footage do the talking, which is a wise decision: it's simply astonishing.